It’s that time of the year again – Christmas parties, late nights out and never ending social events. Followed by the occasional red lip gone wrong, or very wrong. To save you all some embarrassing moments, (been there, done that, bought the t-shirt and wore it out) I’m going to tell you about my favourite long lasting RED lipstick. After experimenting with many lipsticks from various brands I still stick to my favourite: Makeup Studio Durable lip fluid and gloss. The durable Lip Fluid is double ended, one end is for highly pigmented matt red gloss, and the other end contains a clear gloss. You first apply the Red gloss and let it set for a couple of seconds, then apply the transparent gloss over it for a shiny finish. 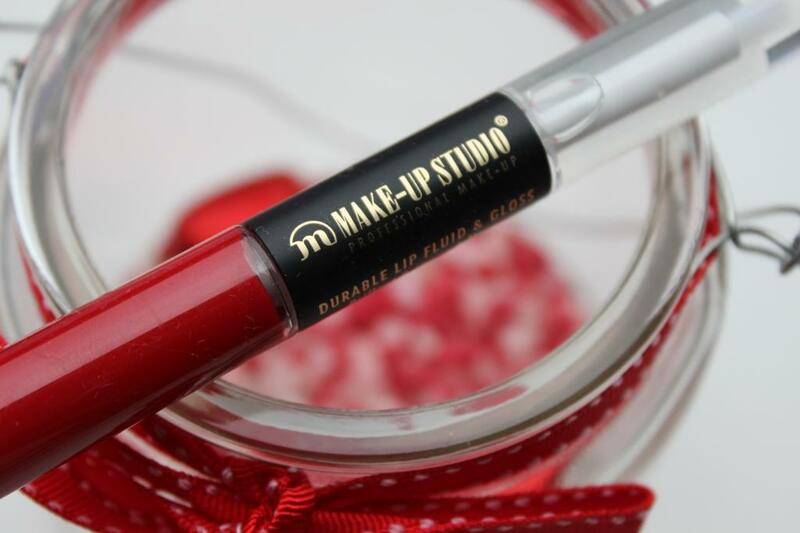 Without the transparent gloss the red pigment makes your lips feel dry, however a small amount of transparent gloss brings out the colour and eliminates any dryness. You don’t have to worry about having lipstick stains on your teeth, because the red pigment dries instantly. You don’t have to worry about bathroom breaks because it is so long lasting you don’t need frequent touch ups. Again since it dries quickly you don’t have to worry about lipstick bleeding out of your lip line (this usually happens in mature skin types or smokers). Your boyfriend won’t complain about your red lipstick transferring onto his cheeks J.
Wishing you all a great Christmas!